Happy weekend everyone. 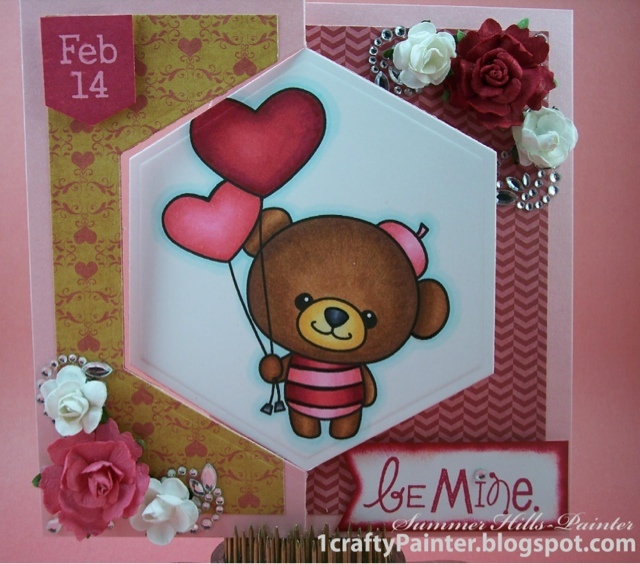 Today I am sharing a card with you using an image from Simply Betty Stamps. 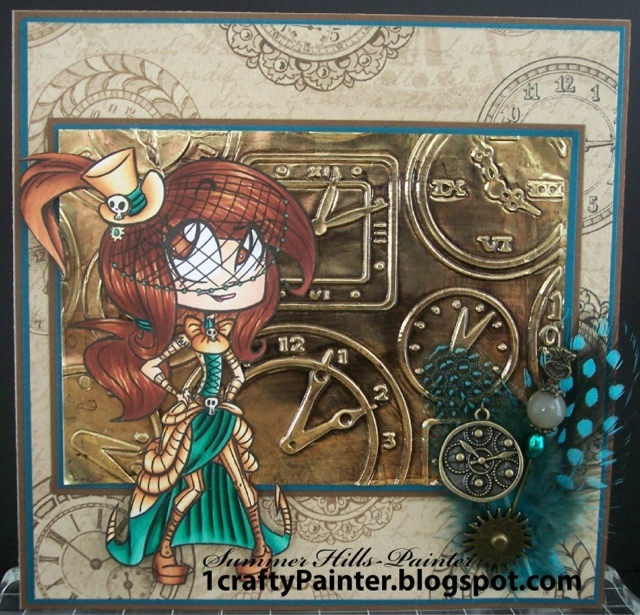 This was different for me as I have never done steam punk before. The image was colored with my Spectrum Noir Markers. Happy hump day! 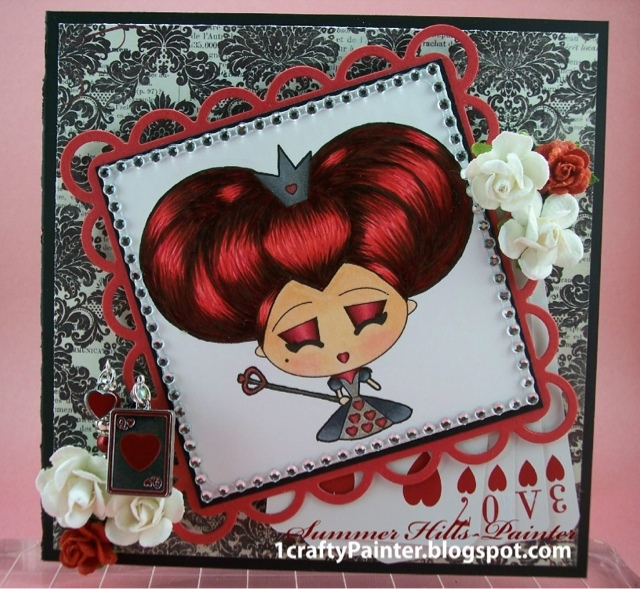 Today I am bringing you a card I made using the Queen of Hearts from Karber Stamps. She has been colored with my Spectrum Noir markers. The paper is from MME, the deck of playing cards are 7,10,A, and 3 ... some creative editing was done to the 10 and the A. The bling is from Recollections. The stickpins I made using charms from the Fairytale collection at hobby lobby. Hello everyone!!! Today and am sharing with you a freebie image from Birdie Brown called Amigurumi Bear, be sure to check it out! 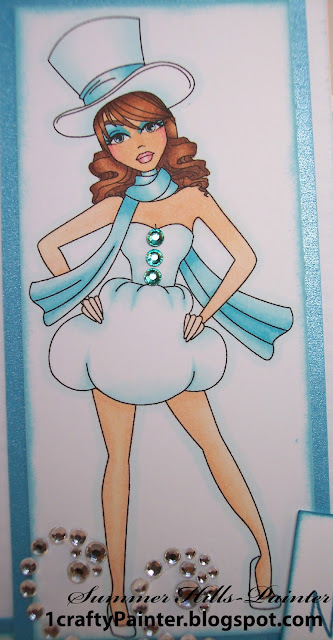 This is a swing card that I created using a Spellbinders die. I have colored the image with my Spectrum Noir markers. Here is another view of the card swinging open. Instructions on how to make a swing card with a Spellbinders die can be found here on my YouTube channel. Hello everyone and Welcome to a new year!!!! 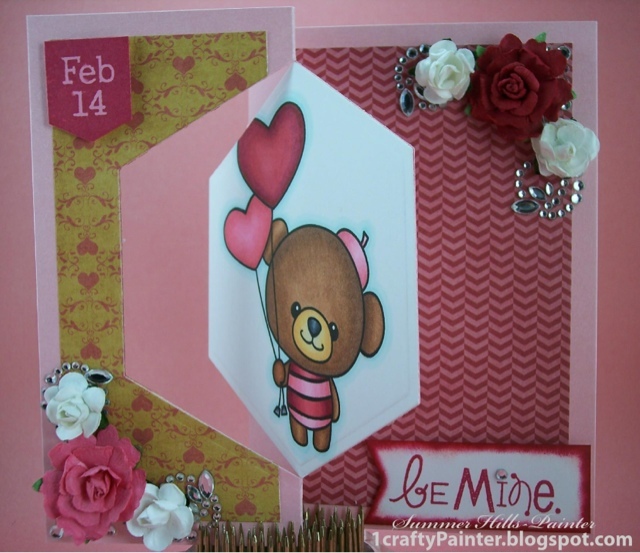 Today I am sharing with you a simple card I made celebrating the 2013. This is Frostina from Sassy Studio designs. The champagne bottles are from Studio G. Both Frostina and the bottles were colored with my Spectrum Noir markers. Thanks for stopping by, I am looking forward to sharing with you through out 2013!